Additional Description: The featured marker is to the middle-right in this view, mounted in the walkway seen below the left-most window of the yellow building. An additional marker can be seen to the left in the foreground. The third similar marker is to the far left, outside of the park's fence in this view. 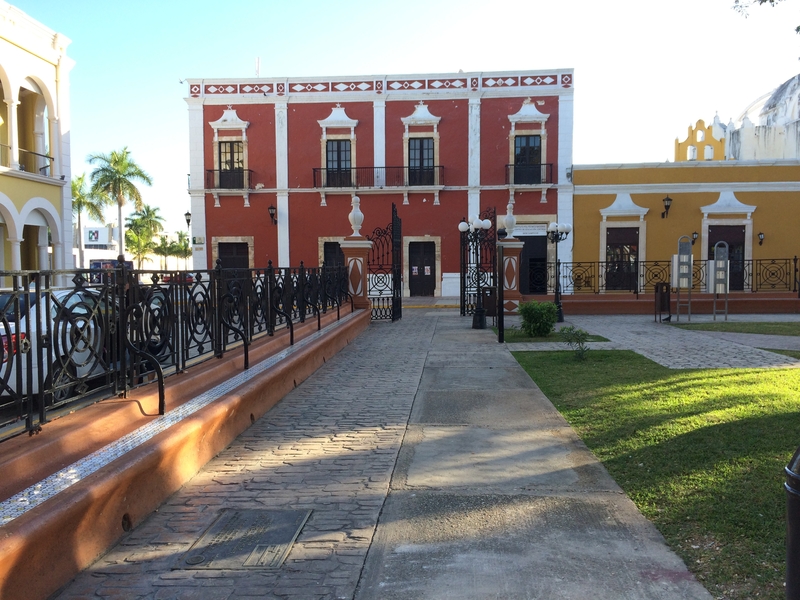 In the distance is the colorful headquarters of the National Technical Institute (Instituto Politécnico Nacional de Campeche).